This year’s iPhones have reached a new record in terms of how expensive they are, as the iPhone XS Max costs in the United States no less than $1,449 in the top-of-the-range configuration. 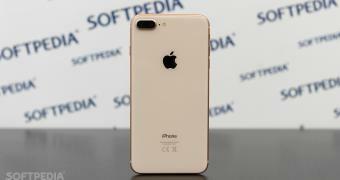 While criticism over the price of the iPhone is already something very common, Apple has recently made the older iPhone 8 and iPhone 8 Plus substantially more affordable for customers who want to purchase a refurbished unit from the Apple Store. Cupertino has announced a nearly 15 percent discount for this particular model, so you can buy the iPhone 8 from the Apple Store for just $499. If you want the bigger Plus version, it costs $599 refurbished as well.